Sara Walker of Associated Bank presents to students in Cabaret acting workshop. In 2015, Associated Bank announced its multi-year partnership with the Marcus Center for the Performing Arts and long-term sponsorship of its Broadway at the Marcus Center series. 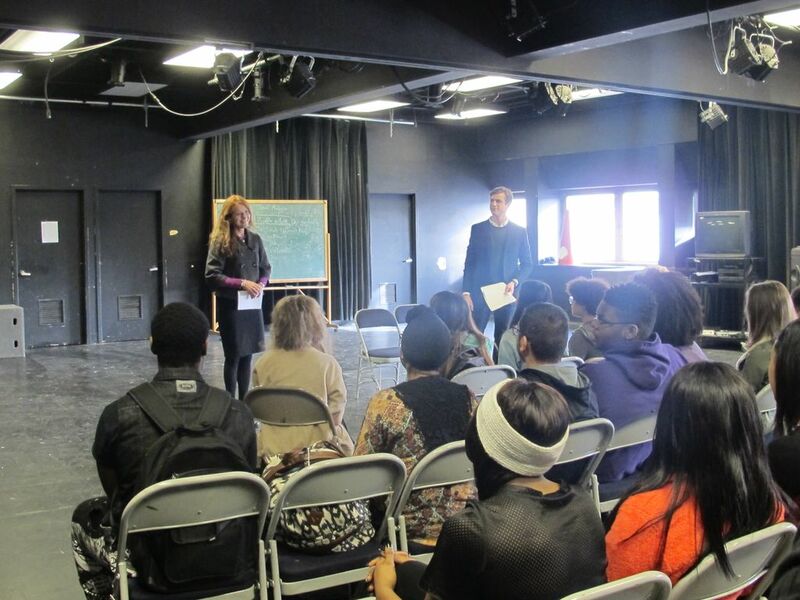 As part of this partnership, Associated has been able to provide programs like the Cabaret acting workshop at the Milwaukee High School of the Arts. The workshop was organized to offer students the opportunity to learn about various acting concepts. They explored how an actor uses physical and vocal choices to create a character inspired by those in Cabaret, and also learned how to use improvisation, tableau and movement to discover how posture, movement and pitch can be adjusted to create a fully realized character onstage. The event offered an interactive experience between the students and the actor Lee Aaron Rose, who plays Clifford Bradshaw in Cabaret. Sara Walker, senior vice president and investment officer at Associated Bank, also had the opportunity to engage the students. Walker said the students brightened up even more as the workshop went on and were excited and enthusiastic to have the opportunity for such an educational event relevant to their interests. She was happy to volunteer her time and even more pleased that they felt such an important connection to the workshop.